As Franck Gehry was designing is extraordinary museum in Bilbao, he had to use the only 3D modeling software available at this time, CATIA (Computer Aided Three-dimensional Interactive Application). This software, develop by the French company Dassault to help them design their aircrafts, is still nowadays the leading product for designing cars, aircrafts, or any other product with some mechanical parts. Since CATIA is not made to design building, Franck Gehry had to use his own plugins, and created Gehry Technology to develop them. Integrated into CATIA, these plugins became the BIM software known as Digital Project. 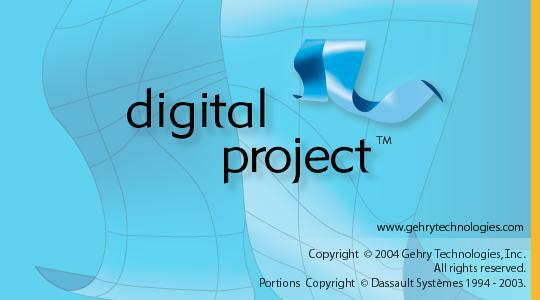 Just to make things clear, Digital Project is the most powerful BIM software. When you start using it, you understand why the design of some of the most iconic buildings of our times involved Digital Project. Automation can be easily done with .Net code, and open limitless possibilities for designing complex shapes and repetitive patterns. But it also has its drawbacks. Compared to Revit, or other traditional building modeling software like Alplan or Archicad, it’s expensive, not user friendly for a second, and frankly, not very pretty. Dassault System had recently bought the development part of Digital Project, and I expect a new release of Digital Project based on CATIA V6 soon enough.